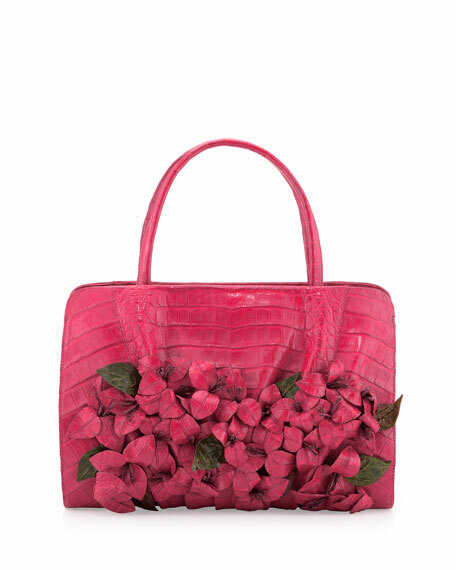 Nancy Gonzalez handbag features handcrafted crocodile flowers in invigorating shades. The thoughtfully compartmentalized interior helps you keep your composure, inside and out. Caiman fuscus crocodile with front floral appliques; pleated back. Thin tote handles, 5" drop. 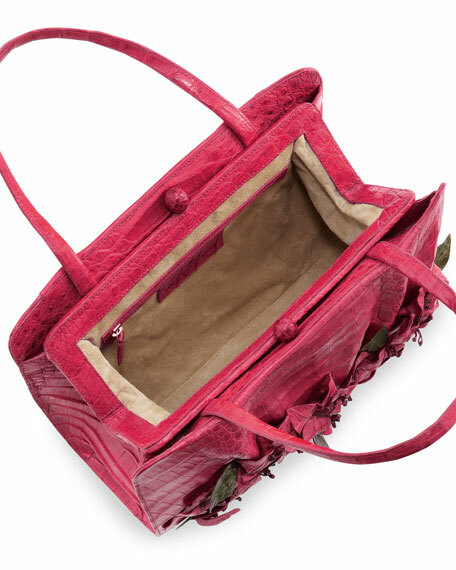 Triple-compartment interior is lined in suede. Inside, one open and one zip pocket. 8 1/2"H x 11 1/2"W x 3"D.